-Visit Ta Dzong built in 17 th century as a watchtower for Paro Dzong. This Dzong was later converted into the national Museum in 1967 and is filled with antique thangka paintings, textiles, weapons and Armour. -Visit the Ringpung Dzong built in in 17 th century to defend this valley against Tibetan invaders. It is now used as an administrative centre and home of monastic community. Afternoon drive to Drukgyal Dzong situated at the end of Paro valley and built by 16th century religious King, Zhabdrung Ngawang Namgyal to commemorate his victory over Tibetan invaders. Kichu Monastery, one of the oldest and most sacred shrines of the Kingdom is another place of interest. 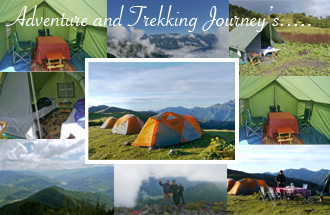 -Hike to Taktsang (Tiger's Nest) Monastery, which is Bhutan's most famous monastery. Guru Rinpoche (the great spiritual master) is said to have flown on the back of a tigress from Singye Dzong in Lhuntse to meditate in a cave where Taktsang Monastery now stands. It is perched on the edge of a steep cliff, about 900 meters above Paro Valley. 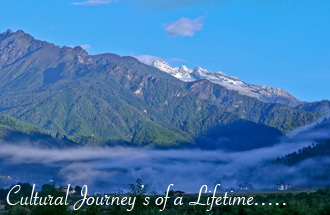 -Views of the highest peaks in Bhutan such as Gangkar Puensum, Table Mountain, Jeje Gang, Masang Gang and Gangche Ta. -Visit to striking Trongsa Dzong, ancestral abode of Bhutan's Royal Family and visit the Ta Dzong, built as watchtower to guard Trongsa Dzong. Proceed to Bumthang and in afternoon visit here, the Jakar Dzong built in 17th century during the time of Zhabdrung Ngawang Namgyal, the unifier of Bhutan. 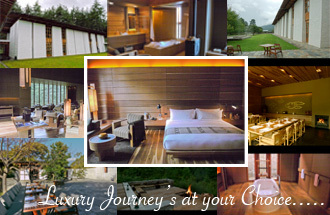 -Visit the Kurje Lhakhang, where Guru Padmasambhava left his body imprint in the 8th century. The temple was later built in 17th century. Overnight hotel in Bumthang. 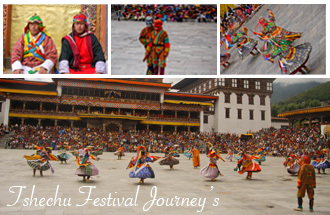 -Attend full day Festival of Ura. -Visit to Jambay Lhakhang, the monastery built in 7th century by Tibetan King Songtshen Gampo, believed to be the reincarnation of the Bodhisattva of compassion. Tamshing Lhakhang, located on opposite side of the river is important place to visit, housing interesting religious paintings. Drive to Trongsa with lunch en route. Overnight hotel in Trongsa. 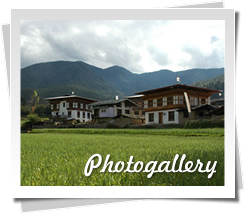 -Visit Punakha Dzong, which was built by Shabdrung in 17th century. 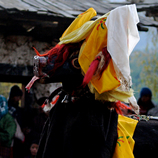 It was the ancient capital of Bhutan and now serves as the winter home of the monk bodies. 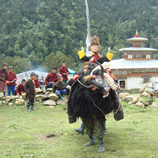 -Visit Chime Lhakhang, which is dedicated to the "Devine Madman". 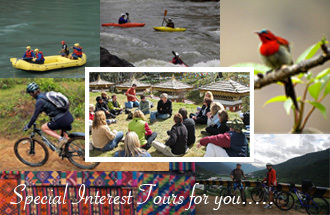 -Visit the farmhouses to experience the Bhutanese rural life. If you wish, have dinner in the farmhouse in a traditional Bhutanese way.